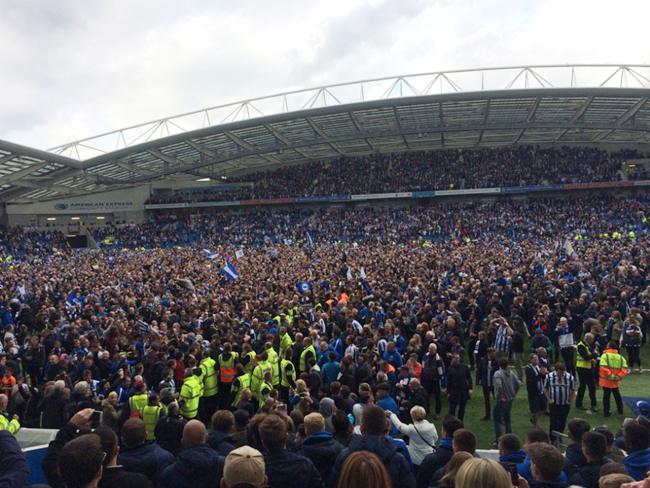 Championship Snapshot: Brighton & Hove Albion Secure Promotion To The Premier League! 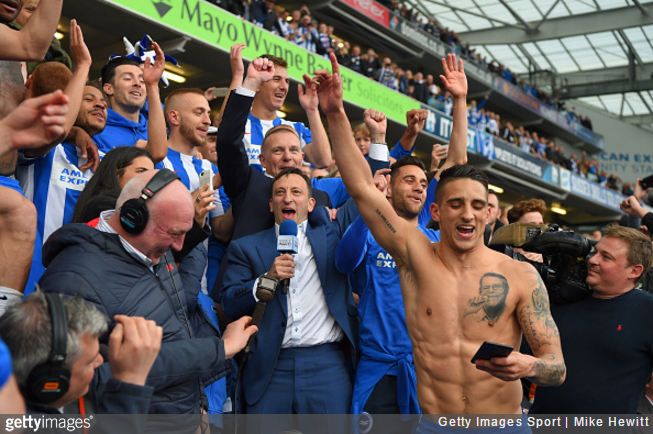 Almost 20 years to the day that they were half-an-hour from slipping out of the Football League entirely, Brighton & Hove Albion have gone and all but secured themselves promotion to the Premier League. With the result of Huddersfield’s late kick-off still pending, Brighton’s 2-1 win over Wigan saw them strengthen their place at the top of the Championship and more importantly go 12 points clear of The Terriers in third place. Basically, anything other than a Huddersfield win against Derby will make the Seagulls mathematically certain of a return to the top flight after 34 years of trying. And so, being a mere matter of time as it is, Brighton will become the 48th new team to compete in the Premier League since its inception and the first virgin team since fellow south coasters Bournemouth made it up in 2015/16. UPDATE: Huddersfield could only draw 1-1 with Derby, meaning that Brighton have done it! All that’s left is to win the Championship title outright. Many congratulations to them, and especially to boss Chris Hughton – a man richly deserving of such success. PS: Am I the only one seeing Fabio Capello tattooed in that chest?